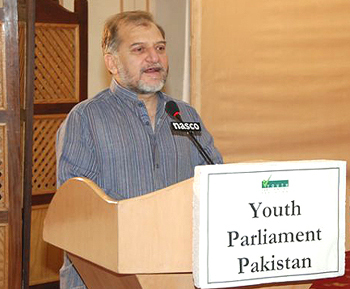 Islamabad, August 09, 2009: Mr. Orya Maqbool Jan, Director General, Sustainable Development of Walled City Lahore, addressed the Youth Parliament in the last day of the session. While talking on the topic of Cultural promotion to the Youth Parliament, he said that language plays a vital role in preservation and promotion of the culture but unfortunately our rigidity to incorporate and convert the information into our own language is the major cause of our ignorance and failure of cultural harmony in the country. He further added that even the Bureaucracy prefer to induct the personalities, suffering through the language and cultural complex. During the question answer session Mr. Orya Maqbool Jan commemorated the Muslim history of Civilization and cultural prosperity. Mr. Zameer Ahmed Malik (YP50-SINDH02) moved the motion to discuss how the Pakistani culture got destroyed in recent years and what steps should be taken to revive the true Pakistani culture in its true spirit in Pakistan. Members of the house discussed the motion in detail in every aspect to pin point the root causes of the cultural impediments and the overwhelming effects of other cultures. Leader of the house, while addressing on this issue said that we should clear all ambiguities regarding our cultures and traditions and we, as a Nation, should be proud of our culture, traditions and language. In the last session of Youth Parliament, elections of the Central Executive Committee of the Youth Parliament Alumni Association took place. 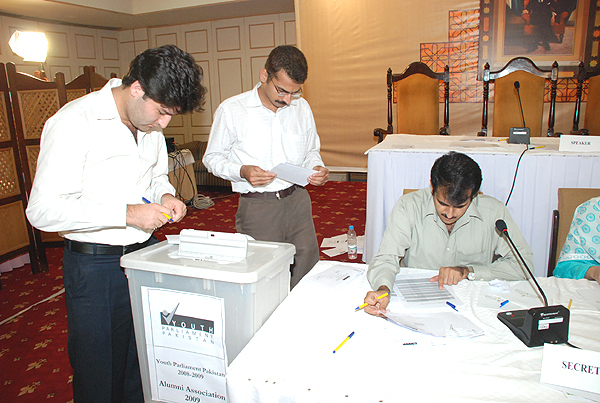 Mr. Fawad Zia (YP17-NWFP05) was elected as the President of the Youth Parliament Alumni Association. 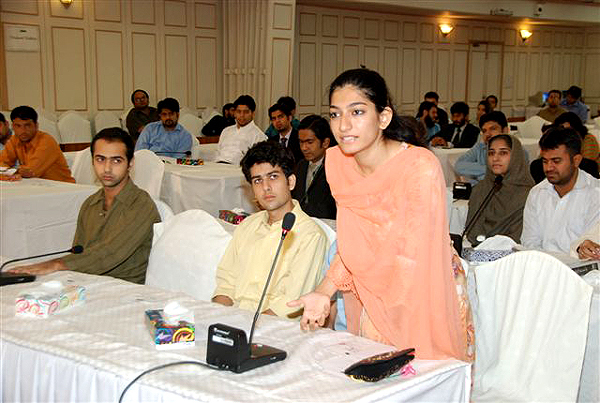 Patterned after the National Assembly of Pakistan, the Youth Parliament Pakistan consists of 64 young men and women who represent the four provinces, FATA, FANA, Azad Jammu and Kashmir and Islamabad Capital Territory in proportion to the population of these units. The Youth Parliament follows its own two-Party System, an elected Leader of the House or Youth Prime Minister, Leader of the Opposition, a Youth Cabinet, a Shadow Cabinet and Standing Committees.